Twice yesterday in the Forbidden City I got separated from the group and I was quite anxious- although we had been told where to meet and the general lay of the land. But the sea of people and the huge size of the Forbidden City was daunting. I soon connected with people from our group each time. One of the women in our group who speaks Chinese and grew up in Taiwan actually got lost jogging in the evening- couldn’t find her way back to our school- Beijing Institute of Education. She was in tears when she finally got back thanks to the help of a stranger. So I am not yet ready to go off on my own too much. The meals have all been as a group- tonight is the first night that we are, according to the itinerary ” on our own”. 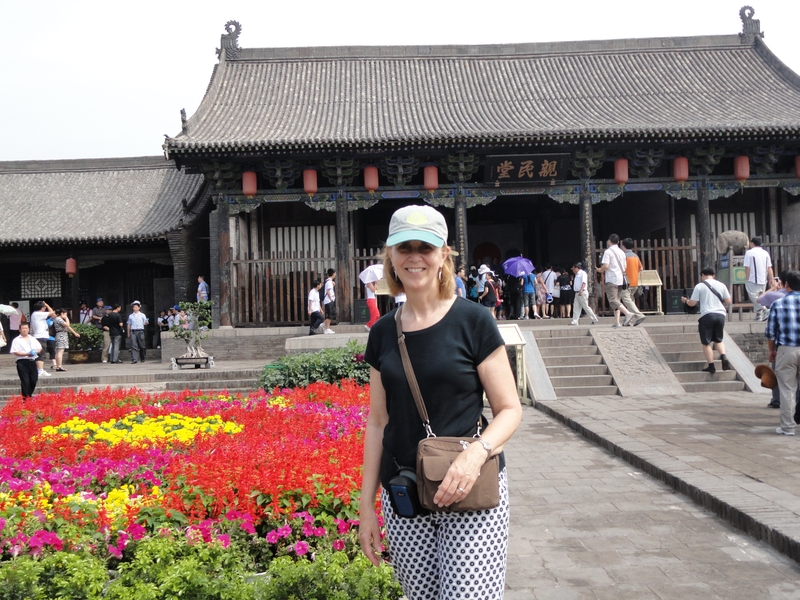 The schedule is pretty busy-orientation activities, Temple of Heaven, and the Pearl market.